He was paid $170,000 as the city's top law enforcement officer; he supervised a huge staff of 300 assistant district attorneys, the feds wrote about Williams. But he couldn't take enough free gifts. And when it came to taking free gifts, Williams was happy to do favors for the people who gave him money and free gifts. Even if they were criminals. And even if he was abusing his official position to do favors for them, or their criminal friends. "In the future always give me at least a week to help a friend," Seth Williams wrote when Business Owner #1 asked for Seth's help in lowering a prison sentence that the district attorney's office had sought for a criminal who was a friend of the business owner's. The favors Seth did for Business Owner #1 shockingly included "limiting screening by law enforcement authorities at the United States border," the feds wrote in their indictment of Williams. Those favors the D.A. was willing to do for his friend included using police contacts and his own official position to let the business owner back in the country after a trip abroad. In return, the business owner pledged in a text message that he would never do anything to "bring suspicion" on Seth.
" I care about you," wrote the business owner who later rolled over on Seth. Next, the business owner dispensed some flattery. "I want to see you the next mayor and the next governor and maybe the next president," he wrote Williams. The favors that Seth Williams did for a man identified in the 23-count of Williams as "Business Owner #2" included the issuing of an official badge that made the business owner a "special advisor to the District Attorney's Office." Even though Business Owner #2 had previously pleaded guilty to two counts of tax federal tax evasion, and was sentenced to three years probation and a 30,000 fine. In a letter to vendor who made the special badge and a leather case, Williams wrote, "Attached please find an invoice for the badge and wallet [Business Owner # 2] wanted He paid for my trip in 2009 to visit the D.A. in San Diego and D.A. of San Francisco. He has given $$$$, will max and will host events at his bars." "Have you flashed your badge lately" Rufus Seth Williams texted his special advisor. And then he paid for the badge and leather badge-holding case with $141 taken from his political action committee, according to the feds. Williams also asked Business Owner # 2 to buy him airline tickets for a Key West vacation for Seth and his girlfriend. "And not to be greedy but maybe we can all go to your place in San Diego before you sell it " Williams wrote Business Owner # 2 about a vacation home that the business owner planned to sell. "Not greedy at all," the business owner texted back. "What type of assignments would you like as Special advisor?" Rufus Seth Williams texted Business Owner # 2. Another time Williams needed personal advice when he ran into money troubles that he blamed on his girlfriend. "I may call you from a random pay phone tonight," Williams texted Business Owner # 2. "My problems stem from [girlfriend] not helping with utility bills, but enjoying heat, electricity, cable, water and food." In the meantime, Williams, according to the 23 count indictment issued Tuesday, was always looking for more handouts. While he was engaging in bribery, extortion, wire and honest services fraud, the feds wrote. Some of the most damning words in the indictment came from Williams himself, in the form of text messages. "If you are planning more trips to Punta or Vegas," Williams texted Business Owner # 2, "feel free to drag me along." So Williams, with family members in tow, took a trip to Florida worth $856. Then, he accepted free gifts and lodging from Business Owner # 2 for a San Diego vacation worth $2,000. It was Business Owner #2 who also supplied Seth with a preowned 97 Jaguar XK8 convertible worth $4,160. And a free vacation for Seth in Las Vegas worth $2,000. Plus $900 in cash. But perhaps the most shocking crime in the Williams indictment was when the feds accused the D.A. of raiding the pension and Social Security income for an elderly relative, money that was supposed to be spent on the relative's care in a nursing home. The name of the relative is not stated in the 50-page indictment. The Inquirer, however, which has great prosecution sources, has identified the elderly relative as Williams' own mother. The money included $10,319 deposited into a joint back account that Williams shared with the elderly relative. The money was supposed to be spent on the elderly relative's care in a nursing home. 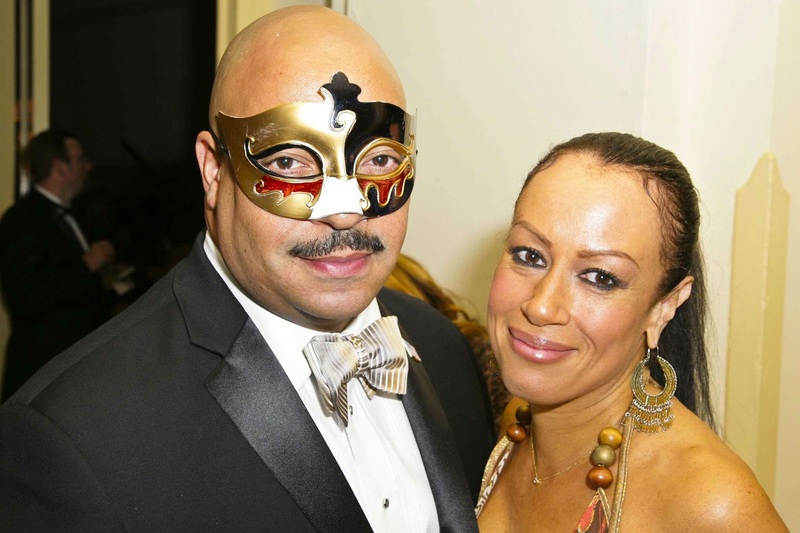 Instead, Williams defrauded the the nursing home for $10,319, which was diverted "for his own personal benefit," the feds wrote about Seth Williams. Williams, the feds said, also did the same with a $10,000 check that was given to him by a couple of friends. The money was intended to be spent for the care of his elderly relative, the feds wrote. Instead, the feds wrote, Williams spent the entire amount "for his own personal benefit." In the words of the late great Jackie Gleason, HOW SWEET IT IS. Or as my wife says WHAT GOES AROUND, COMES AROUND. Karma is a b***h Seth. There is still nothing that can be done to provide justice for those innocent people you or your office prosecuted but this helps a little. Just don't drop the soap as some of your friends will be looking for you where you are going. Will this indictment force the DAs office to ask for a delay in Msgr Lynn's hearing scheduled for this Friday? shame he probably won't do the perp walk like everyone else today at the federal courthouse...since he hasn't resigned, he still has his city paid police to protect him from the media vultures that will be swarming the federal courthouse this afternoon. So the take away is you can abuse your power as a prosecutor and get away with it, like changing grand jury testimony, you just can't take gifts without reporting them. Got it. So is it too early to assume that Weiss and Ali have a plea deal? I've noticed that the indictment accuses Seth of taking $2000 in cash from Ali, which does not appear to be part of the 2016 revisions to Seth's financial disclosures, NOR the Ethics Board's findings. Being that it was cash, the only way the Feds would know this about a 2013 cash handout was if he was already under surveillance or if Ali is cooperating. The irony - that Seth used cash bribes from an Ali to bust up local politicians while ruining his own career with cash from a different Ali. There must be one envelope that just keeps getting passed around ruining careers. Ralph - looking at the Feds through a more critical lens based on your prior comments towards me - I'd say the nursing home charges in this case are a non-starter. As bad as it sounds, he probably had or can get his mother's permission. And even if he didn't have permission, it's doubtful they can prove he knew that. In any case, I don't think they've scratched the surface. Note the text message about a donor who will "max." The Feds should follow the money, to use their own words, and see who else "maxed" and what happened after they maxed. He was caught because he was a politician, an elected official, what he did was wrong, doing favors for criminals and those that bought favors from him for favorable treatment. When do we ever get to find out about prosecutors that do "favors" for their friends, like going after political adversaries, such as one Supreme Court Justice that got his "friends" in the federal building to go after Traffic Court. Check into indictments Seth has been sitting on!!!!!!!!!! @anonymous 3:34PM - sounds to me like you either work for the police or are one of the prosecutors in Rufus' empire. In either case, why not elucidate a bit? Let it 'all hang out'. They absolutely need to get the office into the hands of someone independent of him, ASAP. The risk to the city and public is enormous. There could be entire filing cabinets full of stalled cases with Bat Man stickers on them - some that probably should be dropped and others that should be pushed through. Anything less is an injustice. Does anyone know if the state House has the ability to remove him? I wonder if the feds took the time to examine all of his financial accounts, including any that might be out of this country. Maybe Rufus got finding fees 'here and there'. Might be worth a serious look. They really need to tear that couch apart his friend bought him. I bet my life there was DRUGS IN that furniture. Who buys a couch for a guy like him. Unless he was planning on moving in. INSANE. What about his fraud and the fraud of security and police when his girlfriend sliced the city vehicle's tires in front of his DAO girlfriend/subordinate's residence (yeah the one yhat screws drug dealers on the job) and they had it towed to his place. He and the cops that covered for him claimed he didn't know who did it. ..isn't that fraud?? Oh that's right, Feds always supersede their indictments....more to come?? ?